Brute Heart (Crystal Myslajek, Jackie Beckey & Crystal Brinkman) craft tense, dense, trance-inducing sounds with primarily bass, drums, viola & voice (all three sing). Informed by the fringes of post-punk, art rock, dark folk & other idiosyncratic strains, Brute Heart’s warm, mysterious music evoke recollections of Dog Faced Hermans, Family Fodder, and ESG, as well as contemporaries Quix*O*Tic and Grass Widow. 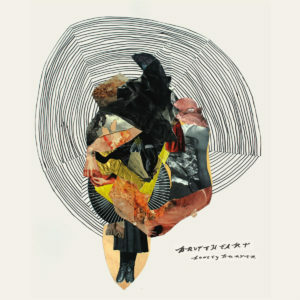 Lonely Hunter is Brute Heart’s second album, and it showcases an eerie ability to shift through several rites, all towing the line between familiar and alien: swaths of extended Eastern-influenced melodies inform primal dervishes, hypnotic & danceable punk movements are cloaked in occult mysticism.